At Holiday Let Mortgages, we arrange millions of pounds in holiday let mortgage business every year. It has always been our policy to use real case studies based on real customer enquiries to bring our finance expertise to life. Our case studies can never be exhaustive, in terms of the financing situations that we can assist with, so if you can’t find a case study that comes close to what you are trying to do, just call us to discuss. This case study looks at how we helped a customer purchase a property in need of total refurbishment and bring it into a condition where it could be used as a holiday let property. 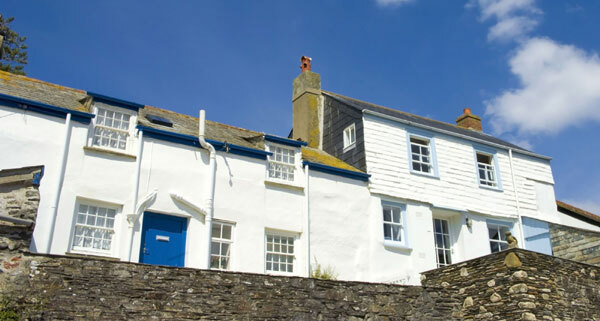 Last month we were contacted by a new customer who found our contact number by searching for a “holiday let renovation mortgage.” The customer told us he had found a property in Cornwall, in a location perfect for holidaymakers looking for a family sized holiday rental property. Once we had established that his overall financial position, including existing commitments such as other investment properties owned, would be acceptable to a lender, the conversation turned to the target investment property itself. The customer said that the property in question was a substantial 5 bed house being sold through an Estate Agent for £650K, however, it would need around £75K spent on renovation to bring it up to the standard expected by paying holidaymakers. He had already obtained a schedule of works from a local builder, complete with costings and expected duration of works and had been advised by the selling agent that the suggested works would result in an uplift in value to £780k. The customer confirmed he had sufficient money in the bank to fund both the deposit and works. It was at this point that the customer told us he had already contacted a holiday let mortgage lender and given them the same information that he had given us. The customer told us that he had been surprised to be told that this was outside of their lending policy. We explained that any kind of long term commercial loan, including a holiday let mortgage, is generally underwritten on the assumption that the property will be let immediately on completion of the loan. Now we gave the customer some good news, we could help. In this case a carefully-planned, two- stage financing approach would be necessary. Stage one would be a short-term loan, known as a bridge, bridging loan, or bridging finance. Bridging finance or bridging loans are short term loans used to finance property purchase, re-mortgage or developments until the properties are suitable for a long-term mortgage. A short-term bridging loan would enable the customer to complete the purchase and carry out the renovation works needed. Once the property is fit for its purpose, we would enter Stage 2 of the process. In this situation, that would be to replace the short term bridging finance with a holiday let re-mortgage, based on projected holiday let rental income. 75% LTV Gross Loan, less interest, costs and fees, customer would receive the net loan. 8- month term at outset, rolled up interest meant that if the work was completed in 3 months, he would only pay for what he used. Whilst this customer would not need funding for the renovation works themselves, a bridging lender will always require a schedule of work with timescales and costs, which will be sent to the valuer before he/she visits the property. The lender will ask the valuer to comment on the reality of the works being completed in line with the timescale and cost shown in the schedule, plus give an expected value of the completed property. All Bridging Lenders require a clear exit strategy for their loan before they will advance any money. In most cases this is sale of the property. In this case, however, the customer wanted to retain the property as a holiday let investment, so we would need to supply evidence that the finished property would be accepted by a holiday let lender. We asked the customer to contact a local agent for a projection of potential holiday let income for the low, mid and high season as well as an indication of the number of weeks they would expect the property to be let in the year. The projection showed a total income of £59,000 per annum (Gross). We were able to use this figure alongside the expected end-value of the property to obtain a decision in principle for a holiday let re-mortgage, at maximum of 70% LTV. This was duly provided to the bridging lender as the evidence of the exit strategy. The bridging loan completed 3 weeks from offer date and the renovation works began a week later. It is key, with any form of bridging to avoid any delay where possible, because the longer you are on the bridge, the more it costs. The property renovation is almost complete and when instructed, the team will push the button on the long-term holiday let remortgage.